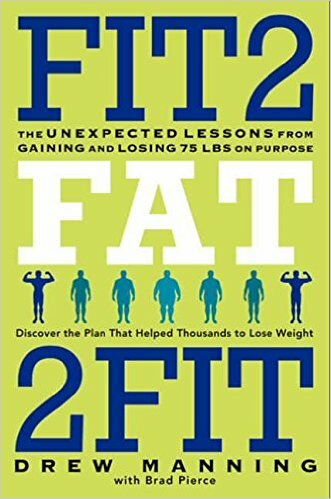 Drawing from the lessons and insights of his breakout website, Fit2Fat2Fit.com, personal trainer Drew Manning delivers the story of his quest to go from fit to fat to fit again in one year in order to better understand the weight-loss struggles of his clients and the online community. Drew embarked on this journey to prove to clients, website followers, and people across the country that it is possible to get back into shape—and his bottomless desire to kindle a new hope for his readers comes through on every page of Fit2Fat2Fit. With before and after (and after…) photos to that tell their own striking story, and intimate reflections from Drew’s wife Lynn, Fit2Fat2Fit is more than a spectacle or a gimmick; it’s an inspiring story, and sound proof that anyone can reach the level of fitness they desire to make themselves happy.